​Paul Pogba and Antoine Griezmann combined incredibly to set up one of the best goals on the night as France got off to a dream start in their Euro 2020 qualifier win against Moldova. The World champions took the lead just midway into the first half when ​the Manchester United midfielder dinked a brilliant pass over Moldova's defence towards Griezmann. 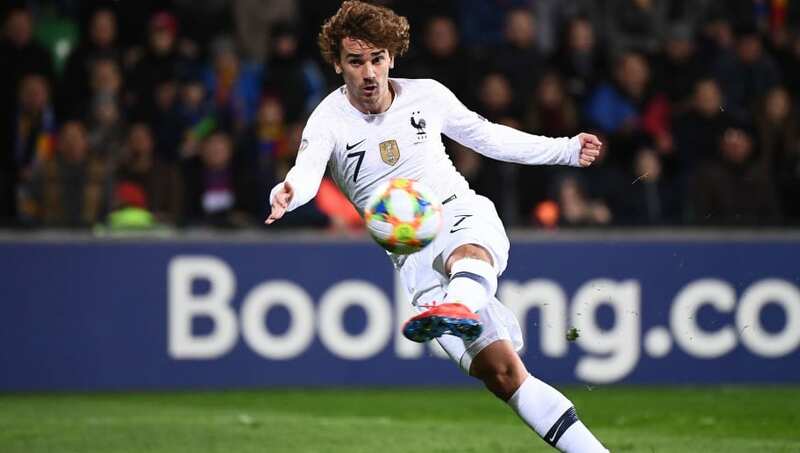 Griezmann still had work to do, but he executed a thumping volley to perfection and slammed it passed the goalkeeper to hand Les Bleus the lead. France added more goals in the first half through Raphael Varane and Olivier Giroud, but that particular moment of magic between Pogba and Griezmann had left fans mesmerised and spell-bound. This should be seen live from the theatre every weekend. Pogba and Griezmann link up needed at United. Pogba is the teams creator. These days he plays closer to goal, so there's really no late runs for him to make. And the fact there's limited run in been made by the players, he can't pick out those passes like the one he gave Griezmann last night. After that Pogba assits, Griezmann will join Manchester United. created countless chances for zlatan who kept missing them sadly;labile kept controlling the game from deep every matchday.Only real football lovers could appreciate him for what he did that season.Thats why we need Griezmann a worldclass player who can take the load off pogba. The ​Atletico Madrid superstar was heavily linked with a move to United during Jose Mourinho’s first summer in charge at Old Trafford, but he opted to remain in Spain. He was also linked with a move to FC Barcelona last summer but ended up refusing interest from the Catalan giants in order to once again stay put at Atletico.